We become sick. We want to feel better, as soon as we can. We go to our doctors. They may give us a prescription for an antibiotic. We feel better that something is being done, although the situation may not have really called for antibiotics, or the antibiotics didn’t help. In the February 1, 2016 issue of THE SAN DIEGO UNION-TRIBUNE, Paul Sisson wrote an article on antibiotics titled Rules Urge Doctors To Rein In Antibiotics. The article talked particularly about the use of antibiotics for severe coughs, sore throats, nasal congestion, sinus pain and colds. Ear aches/ear infections could be added to the list. The main premise of the article was for these kinds of health conditions, antibiotics are not necessarily needed, although they are prescribed very often for them. An excerpt from the article is below. You can read the entire article here. Please know that there is a time and a place for antibiotics in which they are very useful. We always want to feel better. And we want our health practitioner to lead us on that path. There are other means than antibiotics that can be used when someone is not feeling well. The healing process and ability of our bodies works so wonderfully well. When we listen to our bodies, take the rest that we need, nourish our bodies with good food and water, exercise, and nurture ourselves by doing activities that we love, our bodies heal well. It is when we are not moving through a health concern – such as a severe cough, a sore throat, nasal congestion, ear aches and infections, colds and more – that we may need help. Homeopathy is very helpful and healing in these situations. These health issues may be a one time occurrence or a chronic situation, in which flare ups are experienced regularly. Homeopathy works with the body’s innate ability to heal. The individual person is addressed. Seeing, listening, witnessing how the person experiences what bothers them – how they experience their cough, their sore throat, their nasal congestion, their ear ache or their cold. It is learning about this person – the totality of this person. A little boy who had recurring nasal congestion and possible ear infections. He had taken several rounds of antibiotics. The homeopathic remedy, which was similar to him, helped with the nasal congestion and the ear infections. He didn’t need to take another course of antibiotics. And the remedy has continued to help, when he has become ill or has not felt well. He hasn’t had another ear infection. A boy who had a severe sore throat, took a homeopathic remedy soon after the sore throat had started to bother him. The sore throat subsided, and he was feeling much better within a couple of days. A man who found it difficult to breath and had used antibiotics for the recurring nasal congestion, did very well with the homeopathic remedy that fit him. His nasal congestion cleared up and he was able to breath easier. A woman who had not felt well for several weeks, was experiencing a sore throat. She said the pain was all the time, and her throat felt very raw. She thought of going to Urgent Care, where she probably would have been proscribed antibiotics, instead she used homeopathy, and she was feeling better. Then it is time to see how homeopathy can be of help to you. Either contact me here through this blog or through my website www.homeopathytoheal.com. Severe coughs bring an estimated 100 million people into physician waiting rooms annually. Although 90 percent of those cases are bronchitis, which is airway inflammation caused by a virus, 70 percent of such patients nationwide receive antibiotic prescriptions, according to the CDC. The new guidelines call for antibiotics only if pneumonia, which is often caused by bacteria in the lungs, is suspected. Sore throats are responsible for 12 million visits each year. Although the cause is usually viral, antibiotics are prescribed at “most visits,” according to the CDC. The streptococcus bacteria is the most likely cause of a sore throat, and the new guidelines call for a positive strep test before prescribing antibiotics. Nasal and sinus congestion result in about 4.3 million visits annually. Most sinusitis cases start out with a viral infection, but obstructed sinuses can, over time, lead to a secondary bacterial infection in less than 2 percent of cases. There is no simple test to tell whether the infection is viral or bacterial, and the CDC recommends that doctors wait at least 10 days before prescribing antibiotics unless the patient has a fever higher than 102.2 degrees, particularly nasty nasal discharge, facial pain that lasts for more than three consecutive days or illness that improves and then worsens. The common cold, which is always caused by a range of viruses, is responsible for 37 million visits per year. Even though experts agree that antibiotics should never be given for a cold, they are prescribed in about 30 percent of cases, according to the CDC. Categories: antibiotics, classical homeopathy, cough, ear infections, Uncategorized | Tags: antibiotics, classical homeopathy, colds, ear infections, earaches, homeopathy, nasal congestion, Paul Sisson, sinus pain, sore throats | Permalink. We all have our own sensitivity. Why does something bother one person, but the very same thing doesn’t bother another person? I often give the example of a skin eruption on someone’s hand. For one person, it bothers them so much to the point that they will seek out any and all kinds of treatment to help. Another person, hardly notices it, or if they do, it doesn’t bother them. They live with it. One person is bothered by it, the other is not. One is sensitive about it, the other is not. to noise, to crowds, to fabrics, to foods, to temperatures, to smells, to certain types of people, to violence, to blood, to over stimulation, to under stimulation, to pain, to pressure, to situations, to traveling, to dirt, to germs, and more. the stomach – digestive issues, the head – migraines, frequent colds, sore throats, respiratory issues, menstrual issues, hormonal issues – in both women and men, skin eruptions, anxiousness, depression/melancholy, fears and phobias, muscular aches and pains, sleep issues, nightmares, eating issues, and more. The sensitivity is what I hear when someone comes to see me for homeopathy. I hear what bothers the person. I hear how they experience their sensitivity. I hear how they live with the sensitivity, either compensating, making it go away, accepting it, or avoiding it. I hear how the sensitivity affects their life. I want to tell you about a boy whose parents brought him in for homeopathic care. He was 20 months old at the time. The boy was experiencing nasal congestion, fevers, and possible ear infections, in which several courses of antibiotics had been given. The antibiotics had helped for four weeks, then the congestion, the fevers, the discomfort in the ear returned. He went through this cycle for several months. As I spoke to the parents and observed the boy, I saw that he had a sensitivity to noise and sounds. His mother told me that when a sound was loud, or if he heard a far off sound, such as an airplane, actually hearing it before she did, he would run to her. She thought that the sounds were scary or frightening to him. He was not saying how he experienced the sounds through words, but showing through his behaviors, reactions, and responses to the sounds. There was a sensitivity to sound. I wondered if the sounds felt uncomfortable or painful to him in some way. Whatever it was, the sounds and noises were too much for him. I really didn’t know how the sounds specifically affected him, but they bothered him greatly, in some way. This sensitivity to sound was also expressed as he played. 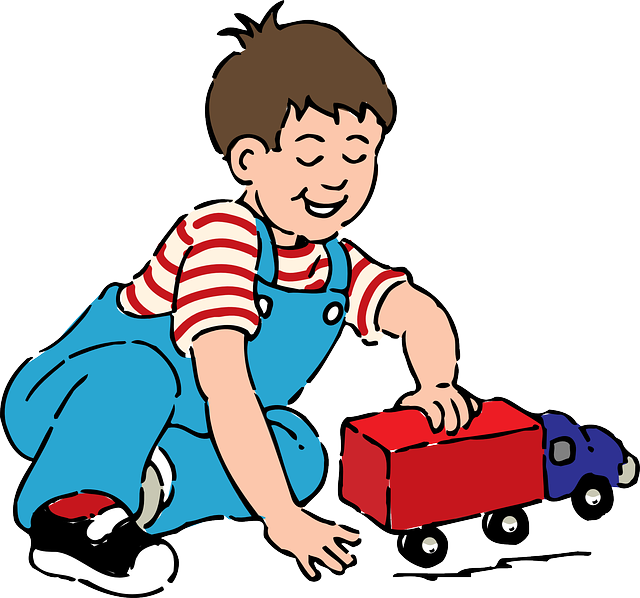 He would make the sounds of trucks, imitating the noises that trucks make as they move, back up, carry things, and push materials. To me, this also showed how sensitive he was to sound. He heard things well, and could reproduce the sounds that he heard. He has done well with the homeopathic remedy that was similar to what he was experiencing. He hasn’t needed to have any more antibiotics. He has had a few fevers and nasal congestion, but has been able to move through them without any lingering problems. I would be curious to know how his sensitivity to sound and noises are. I would think that he may have less of a sensitivity to them. The sensitivity to sounds is not why the boy’s parents brought him in for homeopathic care. But this sensitivity was very characteristic of him as an individual person, and very much part of him. Homeopathy looks at, and focuses on the whole person. We all of our own sensitivity, and sensitive areas in our body. This is where we may experience symptoms, discomfort, or flare ups when we are experience situations that are stressful physically, emotionally, mentally or spiritually. With homeopathic care, the sensitivity becomes less and quiets down. What is your sensitivity? 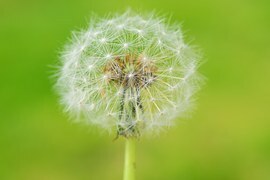 I invite you to contact me either here through the blog or through my website www.homeopathytoheal.com and set up a Get Acquainted Call. I do work with people who don’t live near me using Skype. Categories: antibiotics, children, classical homeopathy, sensitivity | Tags: antibiotics, anxiety, children, depression, digestive issues, ear infections, earaches, fears, fevers, homeopathic remedy, homeopathy, hormonal issues, migraines, nasal congestion, nightmares, phobias, respiratory issues, sensitivity, skin eruptions, sleep issues, sounds, women's issues | Permalink.